One of the best things about being an archivist is that we get to problem solve. 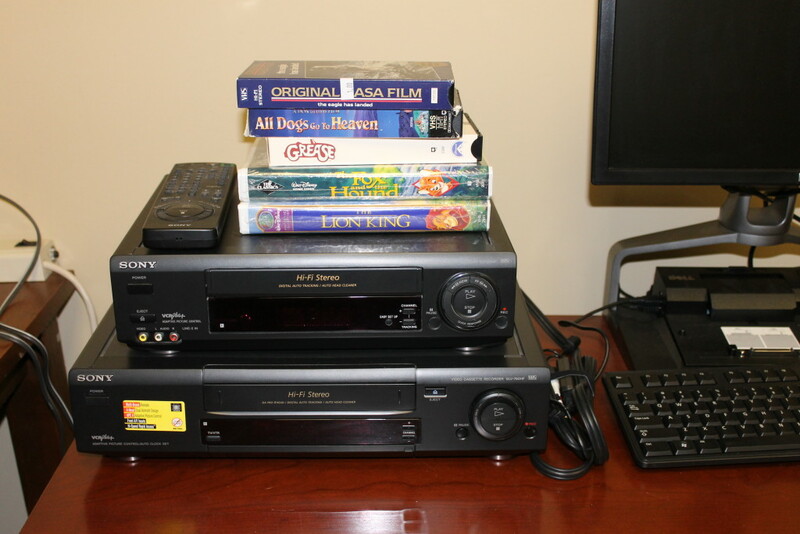 How are we going to watch these VHS tapes when we don’t have a dedicated VCR or a TV? This tutorial is my current working answer. It will involve links to a few external sites, so proceed with caution and remember that this is just one solution. Your needs will vary and so will your answers. 1. 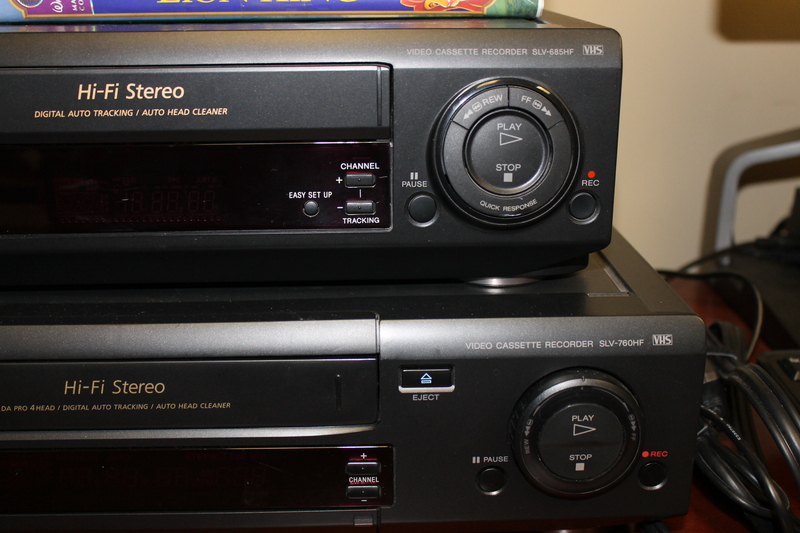 Safely view VHS tapes – what’s even on these things? 3. 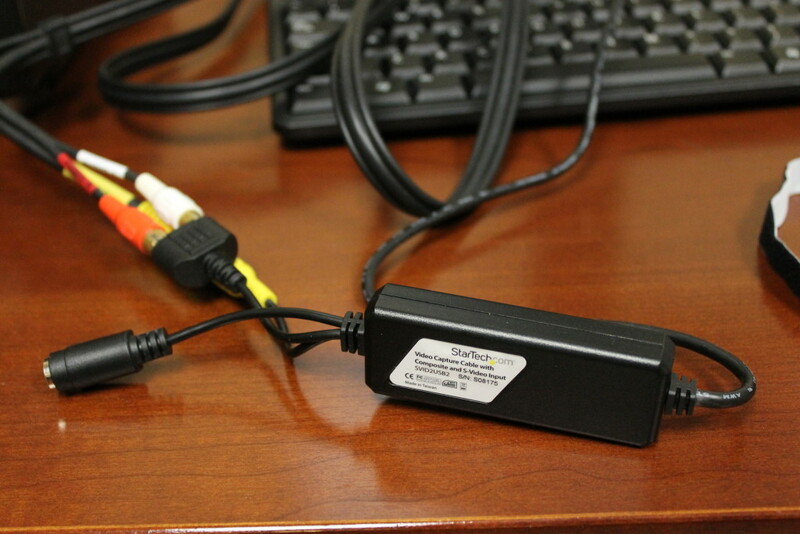 Make a very rudimentary access copy (instead of a preservation copy) if someone off-site wanted to review the contents. Archivists – bear with me – this is an *access only* solution, but it’s better than no access! I got very luck and was able to find all of these items at a charity sale. Major props to Tim Swast for his hilarious and endearing selection of test tapes (two of the cartoons are still in their original wrappers!). We picked Sony decks because they looked reliable, although any brand would work. 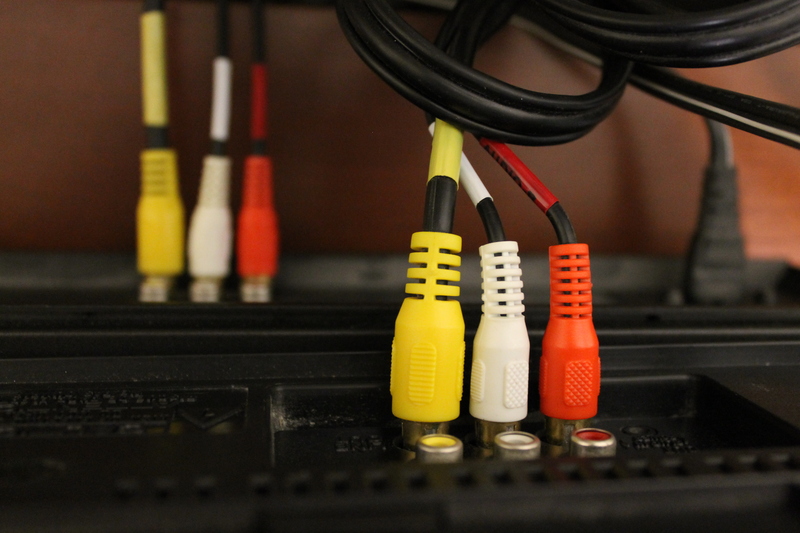 Here’s a shot of the back of our VCR’s with the output cables plugged in, to be run into the converter unit. You will notice that these are composite cables, so the video is yellow and the audio is shared between the white (left) and the red (right audio). There are a LOT of options on that page, my best advice to browse, download, try and try again. If the page numbering changes or breaks, go to VideoHome’s site and choose English > Technical Support > Download, change Product Name to USB Grabber, then scroll. I’d like to give a special thanks shoutout to this amazon reviewer who went to great lengths to explain how to get the converter working. Solid advice. I also updated the DirectX on my computer, although you might be able to skip this step. Finally, I added the always-useful VLC player to support file playback. PART TWO of this post will discuss the process of viewing the tapes on your PC and making tiny captures.